The esw GROUP can reach further competition advantages with its own tool making department With this, we are able to receive an essential share of the tools from our own production and to maintain and to repair them ourselves. Short phases from the design to the production of a tool bring synergies and various advantages for the company group. 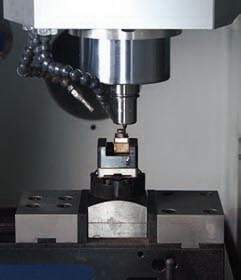 The field of tool making involves HSC-machining, CNC-milling, turning, as well as wire and countersink erosion. This business field is very promising which shows the very high rates of training and hiring in this area.